Before we talk about the types of Recreation Vehicles (RVs) we should discuss what an RV is. 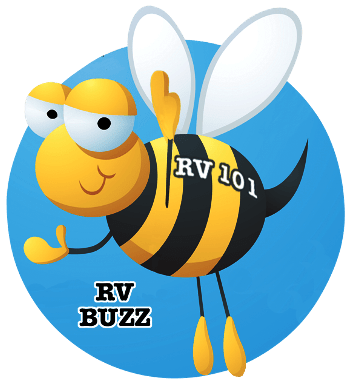 The Recreation Vehicle Industry Association (RVIA) describes an RV as a vehicle that combines transportation and temporary living quarters for travel, recreation and camping. RVs come in many different types, sizes and price ranges. Some are very basic starting around $5,000 and provide basic sleeping arrangements and cooking facilities. On the other end of the spectrum there are luxury land yachts on wheels costing more than $1,000,000. 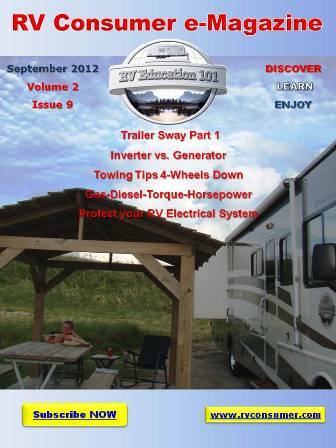 RVs are categorized into two groups, towable and motorized. 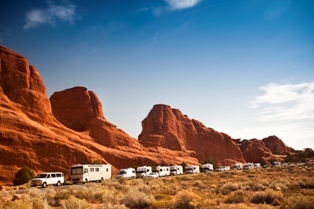 Towable RV’s are towed behind a vehicle and then disconnected and set-up when you arrive at your camping destination. This allows you the benefit of using the tow vehicle to make a trip to the store, or go sight-seeing while you are camping. Towable RVs include folding camping trailers or (pop-ups), truck campers, travel trailers, hybrid trailers, sport utility trailers (toy haulers) and 5th wheel trailers. In the majority of cases towable RV’s are less expensive than motorized RV’s simply because there is no engine or vehicle chassis. Towable RV’s come in a variety of sizes, floorplans and price ranges. It is extremely important that you have a properly sized and equipped truck (or tow vehicle) to safely handle the size and weight trailer you are towing or thinking about purchasing. What is a hybrid trailer? What is a Sport Utility Trailer (SUT) or toy hauler? What is a fifth wheel trailer? There are three classifications for motorized RVs, Type A, B, and C. Type A motorhomes are built on a special vehicle chassis and powered by either a gasoline or diesel engine. They are the type that look similar to a bus. Type B motorhomes are conversion vans that have been modified and equipped with all of the amenities found in other RV’s, in a more compact size. Type C motorhome are built on a cut-away van or truck chassis and are the type you see with a section extending out over the vehicle cab. Motorized RV’s can range anywhere from 21 to 45 feet in length and are available in a variety of floorplans and price ranges. What is a Type A motorhome? What is a Type B motorhome? What is a Type C motorhome? Another type of RV is the Recreational Park Trailer (RPT). RPTs are basically designed to be used as temporary living quarters for recreation, camping, or seasonal use. In most cases these seasonal cottages are taken to a vacation spot, set-up and left there on a permanent or semi-permanent basis. This may be in an RV park, resort area, or a tranquil location in the mountains, or along the coast, usually within a few hours drive from the owner’s residence. What is a Recreational Park Trailer? Understanding more about each type of RV can help you decide which type of RV is right for you and your family.